Thanks for explanation, Lezard. 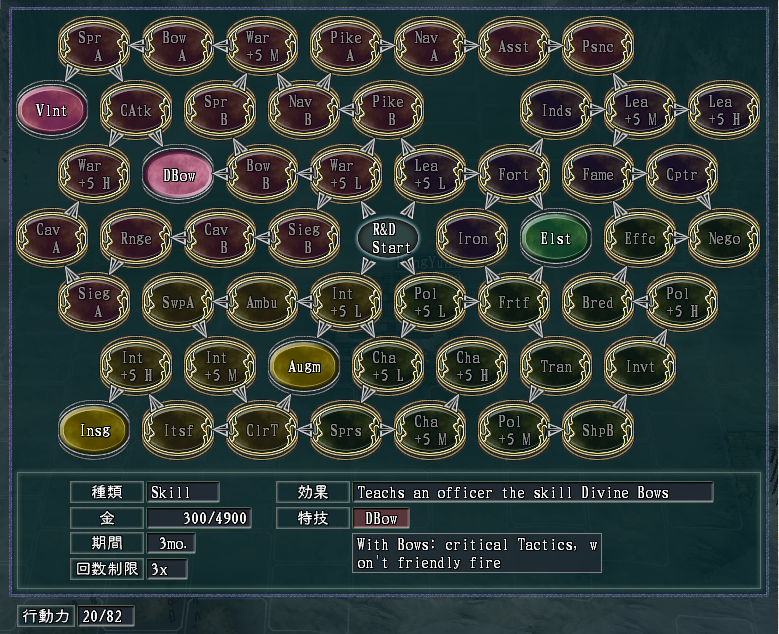 I guess PUK editor and Zetta's randomizer will be enough for me to enjoy the game (again). If nobody bothered to translate the editor after so many years, it's pretty unrealistic to think that this will change in future. *sigh* Koei cant even make proper in-game editor, yet many other turn-based strategy developers can do it without problems. I think nobody knew how to do it back in the days. But yeah, nobody seems interested in this game anymore. Just a quick question about this editor, I've used it to change some messages in game like events and some biographies and such and it works fine, but it seems like changing any messages that actually appear in the log window in game seem to make other messages not show up properly. For instance, say I change what Zhang Fei says when getting attacked, the window no longer shows anything when inspecting or drilling troops, it just stays empty. Any idea what causes that? No idea. Have you chosen the proper game language? Anyway, I've done a bit at a time and finished a bad translation (better than nothing). Note: It's upx compressed (if someone want to change it). Anyways, thank you for your work on translating it. Thank you very much, it is awesome! I've played around a bit with San11 Editor and there is still some stuff I could translate (for the memory editor mode). Some stuff could be improved, like those "patches". Thing is I don't play much anymore. So, is there anybody using this editor who can provide suggestions or feedback on what the patches actually do and things like that? Nobody in this forum is used to the more advanced features of this tool due the language barrier, but I think it should be easier to explore them now. By the way, on my quick tests it worked perfectly with japanese pk version (including the patches and memory editor). I do not know how to use, can you explain in simple English ? With San11 Editor I've being able to take a good picture of PUK new "R&D" system (Research and Development). Marked ones are fixed, remaining 5 are randomly determined each match. Just a useful quick reference. Are you sure? Have you clicked the big "fast download" button, typed the captcha and clicked on Download? I know many servers make big buttons you shouldn't click, but that's not the case on this one. I got it! The first few captcha errors made it unable to download.